Wagner, Dreese, Elsasser & Associates, P.C. is a leading Central PA accounting firm. Their services are diverse and comprehensive. Their combined team has hundreds of years experience and serves clients large and small. From individual tax work to corporate and small business accounting services, WDEA, P.C. has you covered. WDEA, P.C. 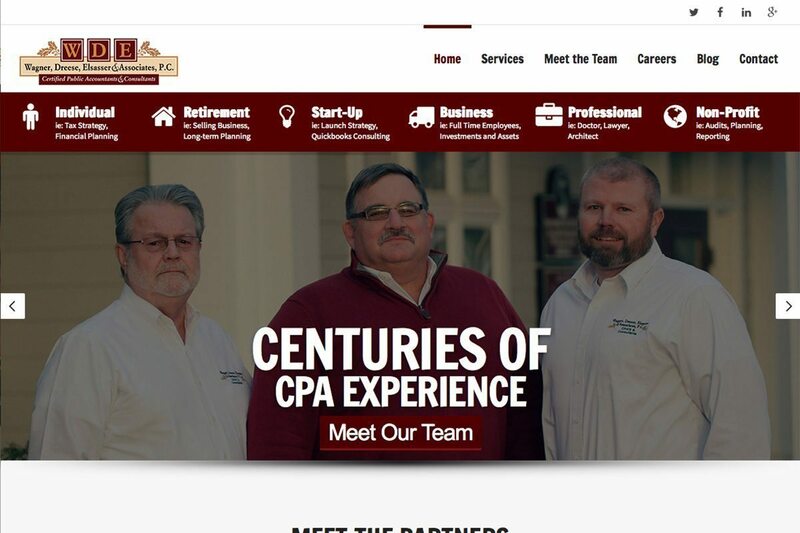 wanted a website that took the typically boring accounting site and made it more approachable, more human and easily digestible for the short attention spans of the modern web visitor.